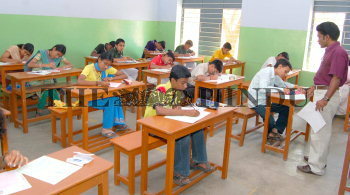 Caption : SALEM: Students taking up the scholarship test organised by the T.I.M.E. in association with The Hindu Education Plus in Salem on February 25, 2007. Photo: K.N. Muralidharan.